A cute & funky bangle featuring a pineapple charm and a sparkling rhinestone. 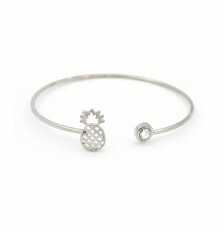 Looks great to wear alone or stacked with other bracelets. 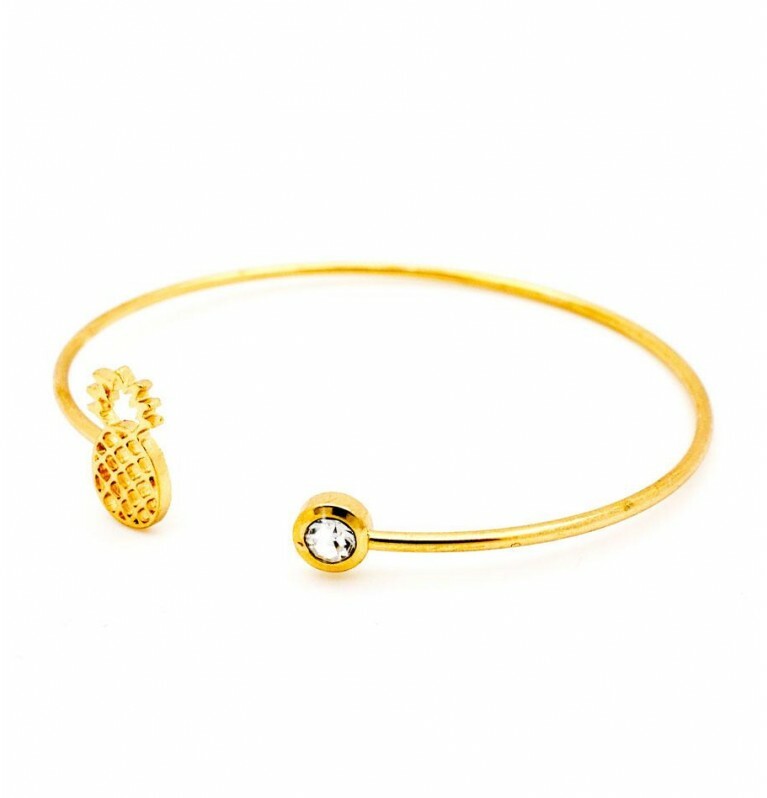 Funky Cutout Pineapple Open Bangle In Gold has been added to your Cart. Funky Cutout Pineapple Open Bangle In Silver has been added to your Cart.